One of the benefits of playing in Houston is that you are really close to NASA. 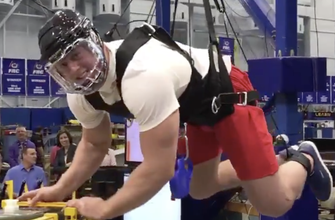 So Texans superstar J.J. Watt took his off-season training to the space labs, participating in some zero gravity activities. And, thankfully, he posted the results to his Twitter account.